Jim Baen is a man that seemed to have had a good life, and certainly made a real difference in publishing. Snowbird in summer. I travel, you see, so that you don't have to! While I was at Snowbird, I hopped on the Tram to the top of the mountain to see what it looked like in summer. I hadn't been up there except in winter. I'm in Utah, staying at the Cliff Lodge at Snowbird. It is quite beautiful here. I spent a fair number of my formative years in Utah, and I spent a fair number of them at Alta, just up the road from here. I feel a strange kind of nostalgia coming back to Utah, I don't really know anyone here anymore, but seeing how the area has changed...what's the same, what's different, is interesting. As with every trip back to Salt Lake, it comes down to the Mountains. It's like they're imprinted on me. 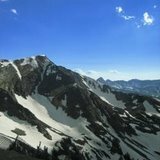 Really, the horizon along the wasatch front, not so much from climbing or anything, just by having it as the long running parallax scrolling backdrop leading into my early high school years. I'm hoping to take the tram up to the top of the mountain on Tuesday. But why, you ask, am I in Utah again? I'm attending the CRA annual conference. I'm running a panel tomorrow with some folks from CMU and PSU. This is a funny kind of show for me. I'm used to interacting with developers directly, and not so much with academia. You see, at Google the Open Source Programs Office (which I help to run, as you might have guessed) funds a variety of projects in Universities and we fund the development of open source software and run other projects that impact students like the Summer of Code, and that's kind of why I'm here. One thing that I've been hearing much about here is the slackening supply of students who want to become computer scientists. I had heard a bit about this before coming, but I didn't realize that if you compare 1999 and now, the number has been cut in -half-. Why? People have theories....the dot-com collapse, the fear of having one's profession outsourced, etc, but it's a little disheartening. I finally bit the bullet and installed Xgl on the laptop. It's -amazing-. So hot. The screenshot on the right (click on it) is a shot during mid turn. I use mine in a cube, but you can have as many virtual desktops as you want. It is -very- flash. 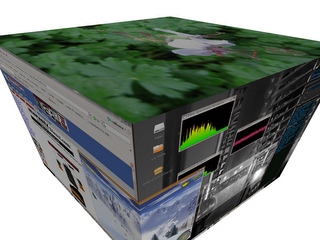 What you are seeing in the shot is xmms with a number of plugins, ppracer, a browser and some other bits running. What you aren't seeing is the raindrop effect, which is a trip, but silly, the wobbly window thing, the switcher that runs real time...it's exceptionally lively. Linux users should definitely check it out. So I'm adding Shostakovich to my list of composers not to listen to while studying, writing or working as his work is too damn engaging. I'm going to go find some Passacaglia's and see if I can study with one of those running. It is that or back I'll go to Vangelis' Blade Runner soundtrack. Speaking of which, it seems there are some albums I never get away from. The BSG Miniseries and Season One soundtracks have been pretty on heavy rotation lately. It's like my brain is keyed to get stuff done while listening to them. The odd thing is that I've listened to them so much that when I watch the show, I'm practically vibrating with track info. This week on Floss Weekly, we interview Ryan C. Gordon, porter extraordinaire, about his life porting games to Linux. It was one that I wish could run for at least an hour more than it did. We also decided to run some of our more technical podcasts with a sort of "Floss Extras" that are way more technical and maybe not for the average listener, so look for those now and then. Shortly after we launched Mars.google.com, Vint Cerf asked my friend Michael and I to come with him on a trip to JPL to talk with some of the folks there. I took pictures. Be sure to zoom in on some of them. Pretty neat stuff: My Trip to JPL. We got to see a lot of cool things and talk to some very neat people. This is also my inaugural use of my employers new web photo hosting service. I like the zoom and drag stuff probably best of all. I know people will compare it to Flickr, which is of course expected. Flickr is a great service, and I have an account there as well but...semper company and all that, I try to use the services Google creates. If nothing else, I can file bugs and feature requests directly :-) But so far, I like it. 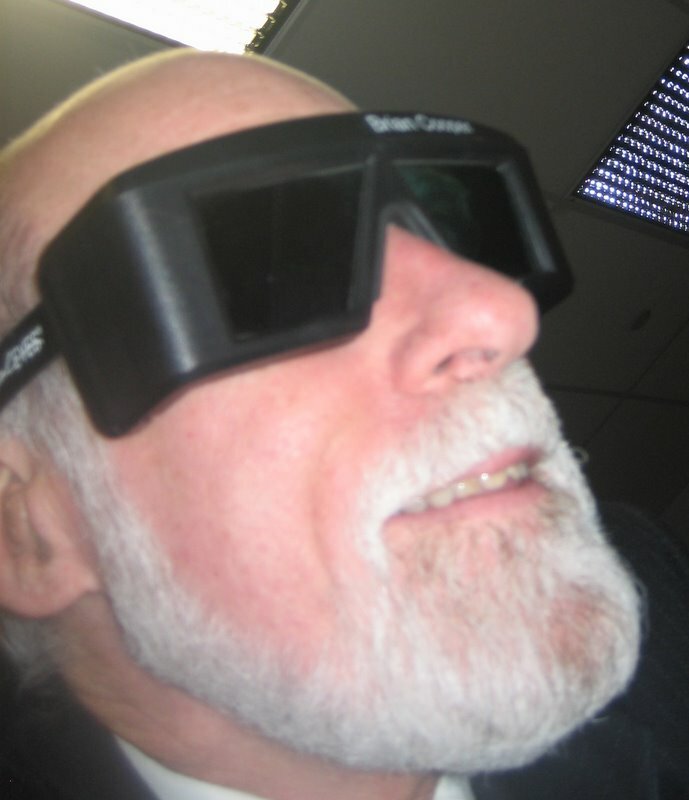 The picture to the right is Vint Cerf wearing 3D shutter glasses. He's the father of the internet.....wearing 3D shutter glasses! Romeo (Thinkpad T41p) and Juliet (Blackberry 7290), entwined perpetually unto death. Ugh. It seems that if you have tried to call me on my cell, you have gotten a message that says, simply "This person doesn't exist". This is not true. Cingular simply has screwed up. Anyhow, this is a problem that is being addressed, but is super annoying. I, in my infinite lack of wisdom, decide to call Cingular, who suggest I wipe the phone to get it to start taking calls. I was dubious but did what the person asked. Oh, if I knew the pain I'd be inflicting upon myself. So we use a program to sync our calendars wirelessly and that program is pretty finicky, to fix and or install, you must give up your laptop to the folks at the tech stop and they perform their magic. However, I, dear readers, am special. 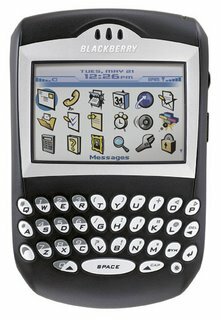 Standard Blackberry syncing died on me and so I was on an alternative syncing software regime whose name shall not be spoken herein. 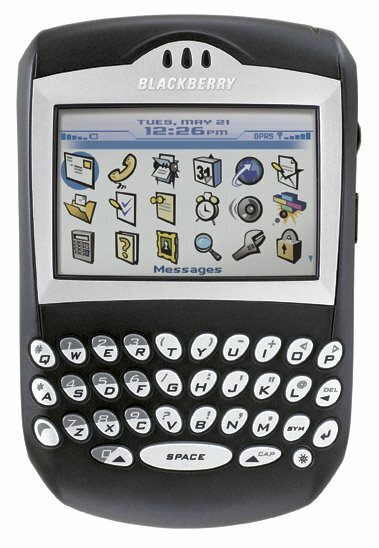 The first magician, a patient fellow, wasn't fully versed in the magical lore of the blackberry and the syncing program whose name shall not be mentioned, but the second magician was able to handle re-setting up the phone. It took from when I arrived at work until about 6pm. I used a powerbook that I had in my stable and it performed fine, if not annoyingly slow. Its a good thing the macbooks are out, because if I had to regularly use the powerbook I think I'd smash it with a hammer. So my PSP is a deader. Doesn't appear to like UMDs anymore. Still boots up and such, but no go on the games that I have. I can read from the memory stick, but who cares, really? I don't need a massive device to play mp3s or movies, I have a laptop and ipod for that. I only got this thing in January. What about the warranty, you ask? 3 months. So, yeah, that's no good. 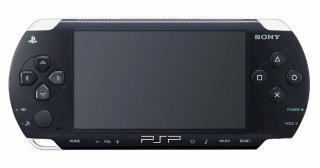 My plan: Wait until the psp 2 or whatever comes out and pick up a psp super cheap on ebay or something. Or not at all. I'm pretty disappointed in this, I might put it in for servicing, but come on, 3 months warranty? Makes me not want to keep the thing at all. I have a good number of games for the platform, which are now worthless. It's not even homebrewable as I can't load the GTA cartridge to load a hack off the umd. The PSP is no more. It is an Ex-PSP. It is a brick. Well, spam is officially annoying. As you know, dear reader, I don't delete my spam, allowing gmail to instead keep a 30 day running total of spam in my folder, autodeleting everything over 30 days old. Today is the first day it is above 20,000 messages. Isn't that something? Sigh. Holy Crow! Slashdot puts up new CSS! Go check it out...I've been following this pretty closely but it is a little jarring: Slashdot. It isn't that I fear change, but gosh...looks great though.